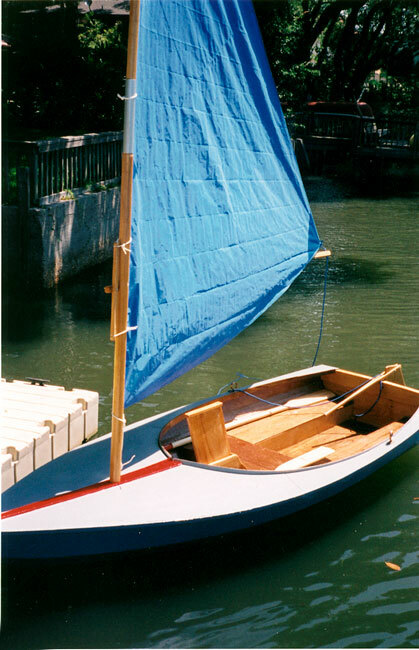 Shell Boats of St. Albans, VT, provided the design for this 12' Swifty built by Arnie Goodman and his son Sam, of Tampa, FL. 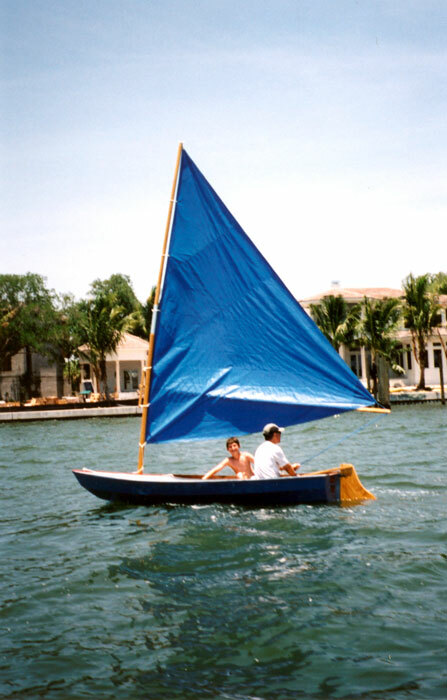 They launched her on May 31, 2004 on Tampa Bay, FL. 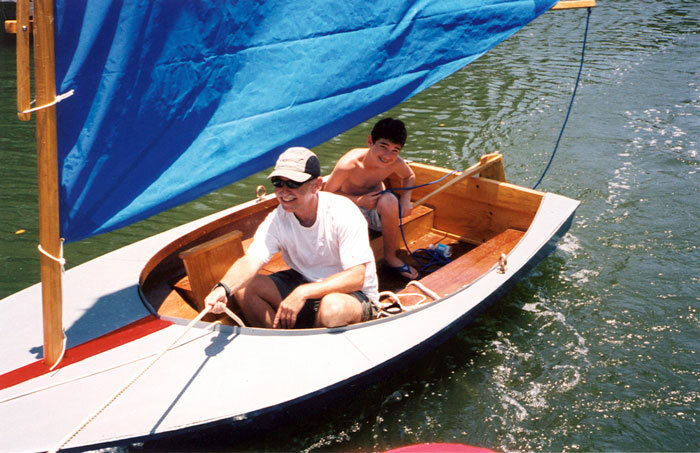 She is of lapstrake plywood construction with an unstayed mast and sprit boom. Contact Arnie and Sam at algmfg@aol.com.